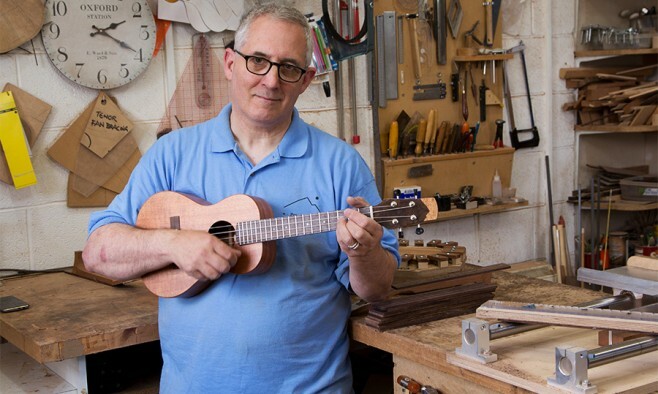 Plying his craft in a small corner of Wales, master ukulele maker Pete Howlett receives orders for his instruments from destinations as far flung as Australia, Japan and Hawaii – where ukuleles first originated. He had hoped to retire 10 years from now. Then one day his retirement plans – and his childhood dream to complete 1,000 ukuleles – were suddenly thrown into jeopardy. Like many people who are diagnosed, Pete didn’t suspect Parkinson’s at first. “Symptoms had been there for a year before, but I have a trapped nerve in my neck, so I thought it was that. My osteopath still insisted that I go and see a specialist, and that was when I was diagnosed [in May 2015]. 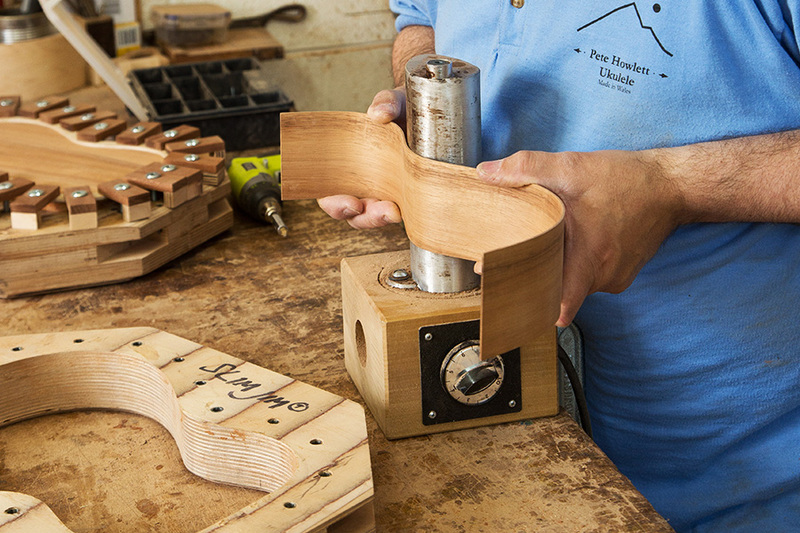 “The most difficult part now is finishing off the instruments, the really delicate final processes, which are affected the most by the stiffness and loss of mobility. A lot of my job is done by feel, so losing that sense of what’s happening is hard,” Pete explains. In fact, one of the biggest challenges he now faces is being able to create each instrument’s unique signature – like many people with Parkinson’s, Pete has found his handwriting is deteriorating due to the loss of fine motor control. 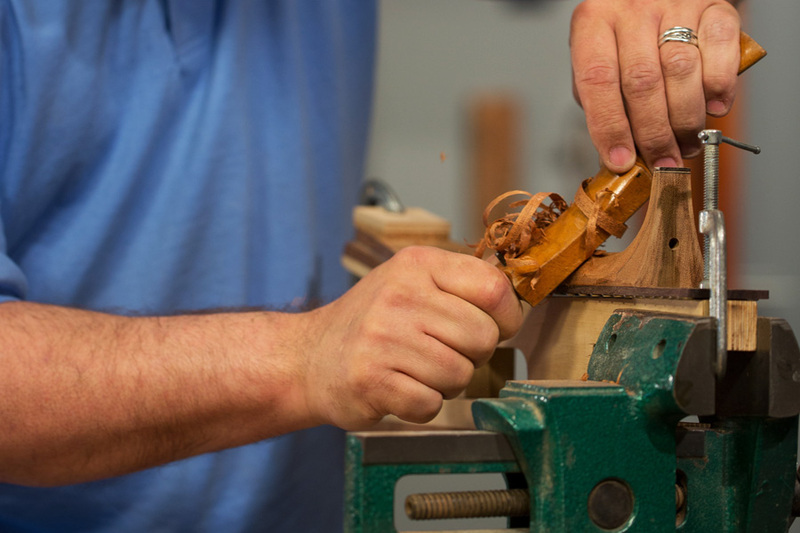 “I sign all my instruments by hand, but now I can’t control that back and forth movement in the same way I did before, which is causing an issue. 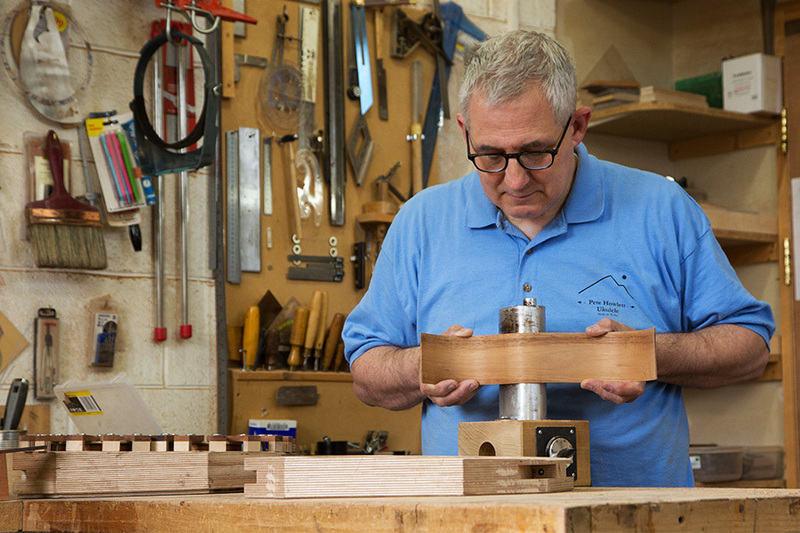 Pete, who is 60, had decided on his life’s target of making 1,000 instruments long before his diagnosis – he’d passed the 687 mark when Parkinson’s Life caught up with him. “When I was 15 years old I read a story about a lute maker in Germany during the 17th century. Unfortunately for him, he was building the instruments when they were going out of fashion. After he died, his workshop was opened to reveal 1,000 instruments in various stages of completion, which never saw the light of day. That was when I decided the figure represented a lifetime’s work.” Hence, his childhood dream was born. Ironically, Pete is faced with the prospect of being forced to slow down production at a time when the ukulele is undergoing a renaissance in popularity. But he remains determined to reach his target, yet also pragmatic about the situation and he has been forced to plan ahead. Tommy Ziegenspeck is a fellow craftsman who over the next year will help Pete reach his 1,000th ukulele. 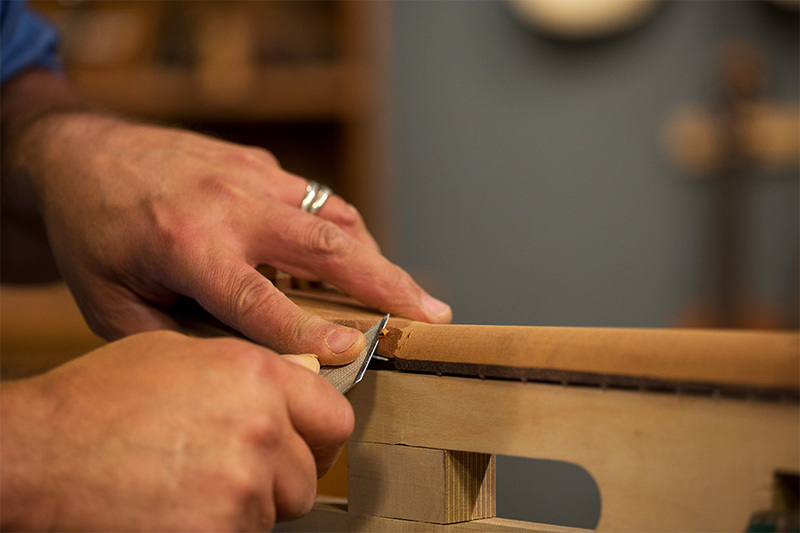 A single instrument can take between eight and 40 hours to make. Each and every ukulele will no doubt carry the unique legacy of his signature etched into its body, yet the mention of one word in particular makes him pause and reflect for a moment. I’m so proud of this man, who I get to call daddy, and his pragmatic approach to his diagnosis. It’s heartbreaking watching the physical effects of the disease but he continues to be my hero.